Welcome to the Small Pet Beds & Sleepers superstore! Small critters like rabbits, guinea pigs, ferrets, and rats love to explore and play, and there's very little they love more than beds that can double as fun play areas! 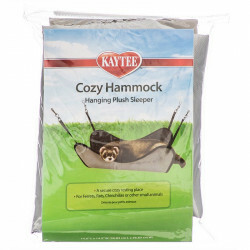 Our selection of comfortable beds and hammocks has the soft, supportive sleepers that offer your pet stimulation and plenty of potential activities, in addition to protected napping zones, even outside of the cage! 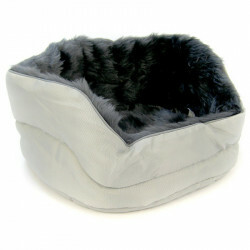 Pet Mountain's Small Pet Beds & Sleepers store features top quality products from Super Pet, one of the most trusted names in small pet beds and accessories. The Super Pet Critter Cuddle-E-Cup features an ultra-soft, padded faux fur interior providing your pet with the ultimate cozy resting spot. 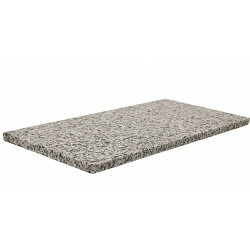 Made from durable polyester material, the bed is machine washable. 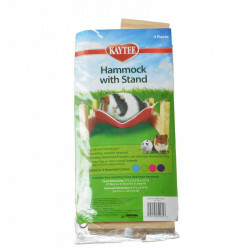 It comes with a strong strap that secures the bed into position anywhere in your pet's cage. Critters can't wait to curl up in comfort inside Critter Cuddle-E-Cup! 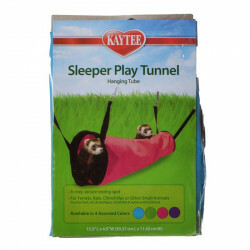 The Super Pet Simple Sleeper Small Animal Play Tunnel is a perfect playtime accessory for guinea pigs, pet rats, hedgehogs, ferrets and other small animals. The tunnel provides critters with a comfortable spot to hang out and play in. The Play Tunnel comes with four strong clips so you can safely attach your it inside any wire pet home. 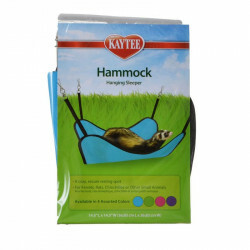 The Super Pet Hammock Hanging Sleeper for Small Pets is the perfect playtime accessory for ferrets and other critters that provides a comfortable spot to snuggle and nap after fun and play. 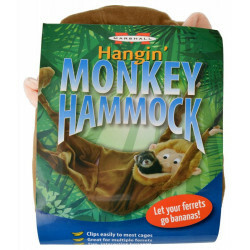 The Hammock comes with four strong clips so you can position and safely attach your Hammock to any wire pet home. 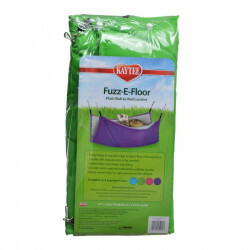 It's made from a highly durable, machine washable nylon material, ensuring your friend will always have a clean place to snooze.